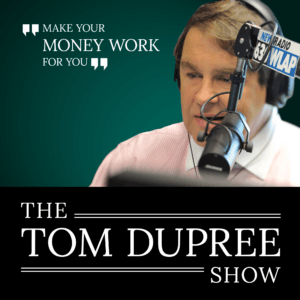 Guy and Mike join Tom for the 8-9 am hour of the Tom Dupree show.  How do you take a test drive of retirement…it’s a big change! Budget. Lifestyle.Time management. Are you ready?  It doesn’t look like there will be anymore interest rate hikes this year. What does that mean for the stock market? Are rising rates bad for stock prices?  Is it a good idea to shift from stocks to bonds in a volatile market?  Is there a hidden risk when you own stocks on auto pilot for the long run? Want to invest with confidence? LISTEN NOW!